Meet the most relevant people for your company and lay the groundwork for future business at ONS 2020. Take the opportunity to gain insight into the latest news, trends, innovations and technical solutions in the oil and energy industry. Connect with up-and-coming young graduates and professionals at the ONS Young arena. Participate in the reshaping of the oil and energy industry through debate, discussion and dialogue at the ONS Conference. It’s all about opportunities! 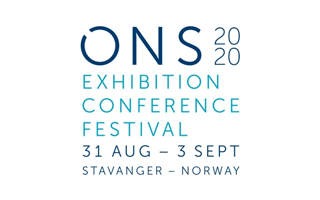 ONS is an exhibition, a conference and a festival. We offer a meeting place where you’ll hear the latest news from the industry at the conference, meet your target audience at the exhibition, and network at the evening festival – all in one day! The ONS conferences with its top speakers provide your employees with new and valuable insight that makes your company better equipped to adapt to a challenging market. Get up to speed with the current market situation, new trends, innovations and technical solutions at ONS.